It's no secret that I'm all for brows, I'm a brow lover. Generally I let my beasts run wild, do as they please like Mowgli. Sometimes I might fill them in and that's because one brow is naturally arched more than another, the hair has never grown to a significantly noticeable shade on my right eye, hey it's how it goes. If I'm doing a full make-up look then I tend to fill them in using powder or pomade. I never quite got the feel for pencils, either too dark 'n heavy or just so not cool. Yet I now have a pencil I've used, that's right. There is now a pencil in my arsenal. 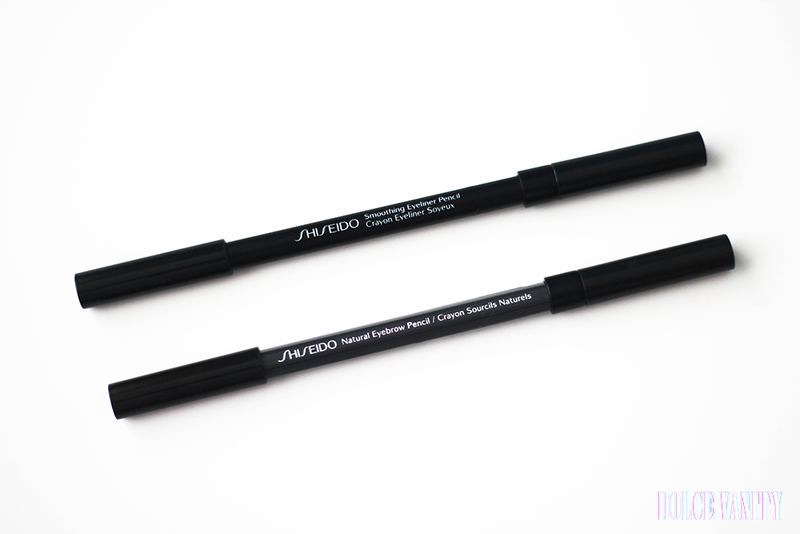 Shiseido Natural Eyebrow Pencil in Natural Black £19.50 but when I popped off the lid, I was surprised it has more of a grey tone to it then what you would expect when the word noir is used. It's doubled ended, one half pencil - one half soft brush. I found that because the pencil is a lot lighter than anticipated and with using light strokes, it gives a nice natural appearance to the brows. It's quite stiff to use, so if you was to apply hard pressure it'll be heavy, unless that is the look you're going for. I'm still not 100% sure I'm keen on brow pencils. 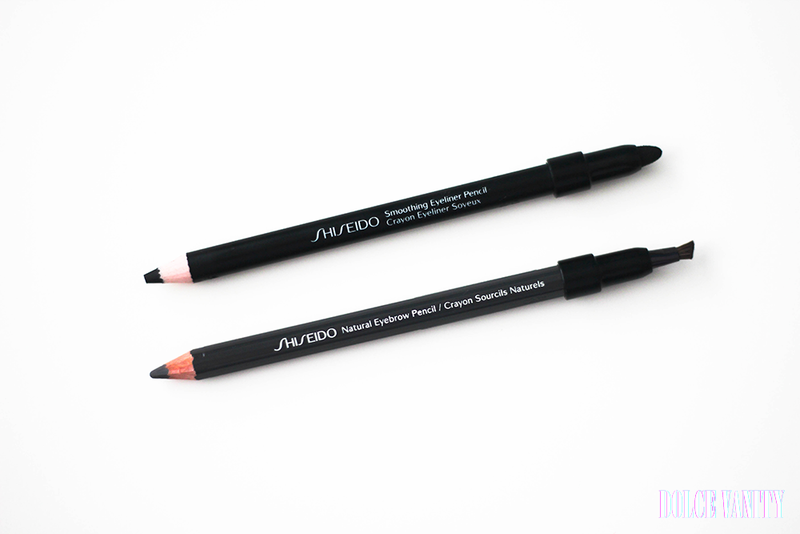 Next up is the Shiseido Smoothing Eyeliner Pencil in Black £19.50 another dual ended pencil one half pencil - one half domed sponge. All in all it's handy to have as one in your make-up bag, on the go smudging if you want to switch up your look from day to night! The pencil isn't as smooth as others I've used but once warmed up using the technique of holding it against a light bulb, it runs on smoother and the domed sponge is firm and best to use lightly to smudge as the eye area needs to be treated delicately.